WASHINGTON (October 15, 2018) – Early results from a first-of-its-kind study suggests that typical use of a family planning app called Dot is as effective as other modern methods for avoiding an unplanned pregnancy. Researchers from the Institute for Reproductive Health (IRH) at Georgetown University Medical Center are studying women's use of the app for 13 menstrual cycles, or about one year. The ongoing prospective study design is the first to apply best-practice guidelines for assessing fertility awareness based methods in the testing of an app. "Given the growing interest in fertility apps, it was important to provide these early results," says Victoria Jennings, PhD, principal investigator of the Dot efficacy study and director of the IRH. "Our purpose is to provide guidance to women who want to use Dot as well as to health providers and policy makers who are interested in this emerging method of family planning," Jennings says. "We hope this paper contributes to the on-going discussion about the effectiveness of fertility apps and how their efficacy should be assessed." In addition to Jennings, study authors include Liya T. Haile, Hanley M. Fultz and Dominick Shattuck of the IRH, and Rebecca G. Simmons of the University of Utah. The authors report having no personal financial interests related to the study. 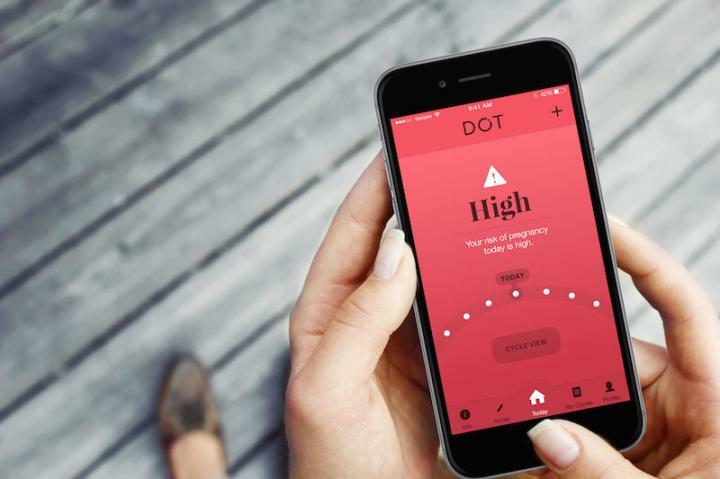 The Dot app is a proprietary technology developed by Cycle Technologies, a company owned by a family member of Jennings'. Georgetown University Medical Center (GUMC) is an internationally recognized academic medical center with a three-part mission of research, teaching and patient care (through MedStar Health). GUMC's mission is carried out with a strong emphasis on public service and a dedication to the Catholic, Jesuit principle of cura personalis — or "care of the whole person." The Medical Center includes the School of Medicine and the School of Nursing & Health Studies, both nationally ranked; Georgetown Lombardi Comprehensive Cancer Center, designated as a comprehensive cancer center by the National Cancer Institute; and the Biomedical Graduate Research Organization, which accounts for the majority of externally funded research at GUMC including a Clinical and Translational Science Award from the National Institutes of Health. Connect with GUMC on Facebook (Facebook.com/GUMCUpdate), Twitter (@gumedcenter). Connect with Georgetown University School of Medicine on Facebook (Facebook.com/somgeorgetown), Twitter (@gumedicine) and Instagram (@georgetownmedicine).